St Giles Brighton is an English language school located in the centre of the city. It is only an hour away from London and rivals the capital for its outstanding restaurants, pubs and bars, and its successful arts and theatre scene. With an excellent nationality mix, our Brighton school is ideal for students looking for a lively and cultural experience. - A fantastic city-centre location in a vibrant seaside city. - Exclusive St Giles George Street Residence, just 4 minutes' walk from the school. - A large friendly school with an exciting atmosphere. St Giles Brighton offers General English Group, which helps students communicate more effectively and confidently in everyday situations and improve their speaking and listening skills. St Giles Brighton offers General English plus English for Business group lessons, which help students to improve their English and also develop specific English skills for a business environment, such as giving presentations, writing reports and compiling emails. This course in Brighton combines 20 morning lessons of General English with 8 afternoon lessons focusing on English for Business. 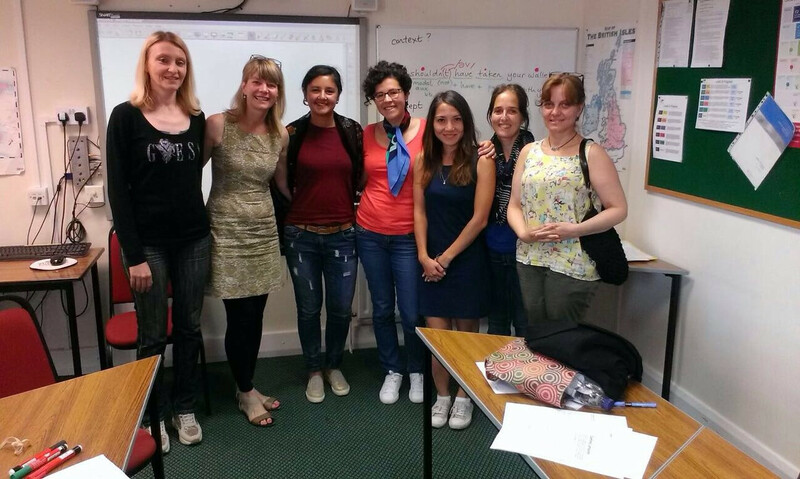 St Giles Brighton offers Platinum English courses designed for professionals, executives and mature learners looking to enhance their language ability and skills in a short amount of time. All Platinum English courses at St Giles Brighton are tailored to meet the needs of the clients and focus on quick progress. Course content commonly focuses on communicating more effectively in real-life situations, with hands-on tasks and role play. Please note that the price is for 1 person, for 2 people you have to make 2 bookings. On this programme, parents will study English in the mornings at year-round adult school, St Giles Brighton, whilst children have lessons in modern classrooms just a few minutes’ walk away in the Jubilee Library. Both centres are located in central Brighton near the Royal Pavilion, the Palace Pier and the seafront. The TKT Preparation Course at St Giles Brighton prepares candidates to take the Cambridge TKT (Teaching Knowledge Test), an award for English language teachers, testing professional knowledge. The test focuses on the core teaching knowledge needed by teachers of primary, secondary or adult learners around the world and can be taken at any stage in a teacher's career. All candidates will be automatically enrolled for Module 1 of the Test – Language and background to language learning and teaching – and can then choose the number of additional TKT modules they wish to prepare for. - Student computers & free Wi-Fi. - Library & student bookshop. - Interactive whiteboards or projectors in all classrooms. St Giles Brighton is a great choice for TKT students looking for a large city-centre school with a great nationality mix and lively atmosphere. The school is located right opposite the famous Royal Pavilion and only minutes away from the beach. St Giles Brighton offers English for University Studies courses which are designed to give students the key skills for future successful study at University level in the UK. St Giles Brighton offers preparation courses for the IELTS exam on regular set start dates throughout the year. Students at St Giles Brighton can choose to study for 8 or 12 weeks. This course offers 20 morning lessons of IELTS preparation with the option to add 8 afternoon lessons of General English or English for University Studies. Travelling time from Homestay to the centre is usually around 15-30 minutes by bus, although some homes are located within walking distance. Public transport in Brighton is good and reliable and students travelling by bus can buy weekly passes at reduced rates. The St Giles George Street Residence is exclusive to St Giles students. This residence offers more than 30 single rooms all with a private bathroom and is only a 5 minute walk from St Giles Brighton school, town centre and seafront. • Each room has a bed, bedside table, desk, chair and storage for clothes. • En-suite bathrooms have a shower, toilet and hand basin. • Bed linens and towels provided. Towels changed on a weekly basis. • Well-equipped kitchens with an electric cooker, microwave, refrigerator, freezer, kettle, crockery and kitchen utensils. • 2 launderettes near the residence. The St.Giles school attracted me by it's teaching staff. The TKT course was useful and competent. I think that the classes at St Giles Brighton are so interesting and the teachers are so dynamic, fun and nice. My experience has been fantastic and I am very grateful. I hope to return to learn more with St Giles!